From the New York Times bestselling author of The Flight Attendant comes a spine-tingling novel of lies, loss and buried desire--the mesmerizing story of a wife and mother who vanishes from her bed late one night. Gorgeous, blond, successful, living in a beautiful Victorian home in a Vermont village, Annalee Ahlberg has another side: at night she sleepwalks, and her affliction manifests in ways both devastating and bizarre. A search party combs the woods, but there is little trace of Annalee and her family fears the worst. Her daughter Lianna leaves college to care for her father and younger sister. She finds herself uncontrollably drawn to Gavin Rikert, the hazel-eyed detective investigating the case, and the two become involved. But Gavin seems to know more about Lianna's mother than he should. As Lianna sifts through the life Annalee has left behind, she wonders if the man sleeping next to her could hold the key to her mother's mysterious disappearance. 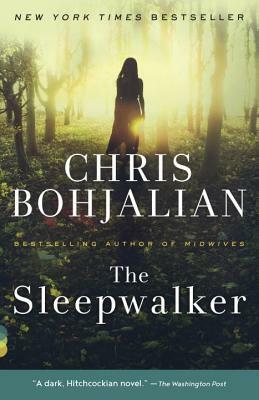 Chris Bohjalian is the author of twenty books, including The Guest Room; Close Your Eyes, Hold Hands; The Sandcastle Girls; Skeletons at the Feast; The Double Bind; and Midwives which was a number one New York Times bestseller and a selection of Oprah’s Book Club. Chris’s work has been translated into more than thirty languages, and three novels have become movies (Secrets of Eden, Midwives, and Past the Bleachers). Chris lives in Vermont and can be found at www.chrisbohjalian.com or on Facebook, Instagram, Twitter, Litsy, and Goodreads. "The kind of mystery that builds to a startling climax, the kind that makes the reader wonder how such a trick was pulled off...Bohjalian does a masterful job."